Tarot cards are one of the essential tools of a psychic, who would use them for predicting possible outcomes, influences and events in someone's life. These cards are illustrated representations of events and energies that we deal with on a daily basis, such as stress, heartache, new beginnings, luck, happiness, determination, motivation and a lot of others. Although they seem like they have a bachelor degree in tarot cards, mastering the technique of reading tarot cards is not a privilege of the psychics. Everybody who's willing to follow their own intuition and invest some time and efforts can learn how to interpret tarot cards for themselves. Before you get busy, it's very important to understand the tarot cards. According to many tarot card readers, reading tarot cards is mainly an intuitive process. They represent a focal point for a psychic to use their own psychic abilities. Reading tarot cards is also known as art that combines skills, practice, intuition and emotion. Tarot cards are not used to predict the future, simply because no one's future is set. Every little change, decision or thought can impact the future. What tarot cards reading actually does is hinting at possible outcomes based on one's current feelings, thoughts and emotions. Once you start reading tarot cards, you will notice that your intuition and your discernment power start increasing too. 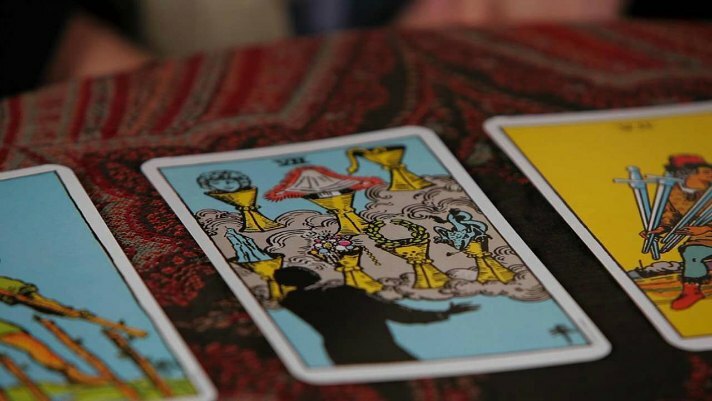 You will know how to connect the meaning of each tarot card with a real life situation and learn how to read the whole story about your path that your tarot cards layout is trying to tell. By reading tarot cards for yourself, you'll get an insight of possible outcomes and gain control over what may happen along your way. Without further ado, here is how beginners should start reading tarot cards. First and most importantly, you will need to choose a deck of tarot cards. If you visit a store without knowing there are different tarot cards, you'll easily get confused and leave the store empty-handed. Each tarot cards deck includes different cards with different symbols and meanings. The Waiter-Rider is the easiest and most suitable deck of tarot cards for beginners, but our advice is to let your intuition guide you. Take a look at a few different decks and the one that calls you is the one you should get. But don't worry, this is probably the first of the many decks you'll own if you get good at reading tarot cards. Once you choose a deck, it's time to start learning the meaning of each card. Truth be told, this is the most difficult step of the process, because any deck counts 78 cards and needless to say, each card has a different symbol and different meaning. 56 cards of the deck are Minor Arcana and 22 are Major Arcana. Minor Arcana cards describe the people, events, places and feelings of an individual's life, while Major Arcana cards symbolize the experiences and stages in an individual's life. Memorizing the meaning of each card requires a lot of efforts, patience and time, but with the help of a good guidebook, there is nothing you cannot accomplish. There are a number of step-by-step guide books for learning how to read tarot cards, so that should not be a problem. A tarot card spread is the arrangement (the pattern or the layout) of your cars. Along with the meaning of each card, the position of the card in a spread is related to a different aspect of the posed question. The card meanings are different in different spreads. Most tarot card spreads include 3 positions of the past, the present and the future, as well as positions for current feelings, external factors and a lot of others. There are many different spreads you can try, but the two best spreads to start are the Three-Card spread and the Celtic Cross. The Three-Card spreads consists of three card positions: for the past, the present and the future. The Celtic Cross requires only 10 cards out of the deck, but its layout is specific and doesn't allow any changes. Many experienced tarot readers would suggest young and enthusiastic tarot readers to just pick up any deck of tarot cards and focus on their intuitive selves. They say that the cards don't have any power, but are just a helpful means to visualize their readings. However, there are some who believe in the power of tarot cards and think that they do help the reader to stay focused on their own talents and intuition.